As homeowners in Southern Ontario, we’re lucky to have four distinct seasons. We see the beauty of spring, summer, fall and winter, but we also experience the extremes. 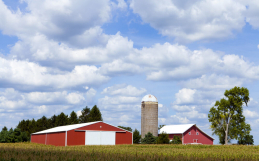 Hot, humid summers and cold, snowy winters are the norm around here. That’s why having the right equipment and proper defence against the elements is important for our homes. For your garage, we recommend insulated garage doors. If you think a standard garage door is going to keep your garage insulated during the summer and winter, think again. While most garage door installation involves weather stripping and other protections against the elements, insulated garage doors have added insulation to regulate the temperature inside your garage. This insulation is most often made of polystyrene or polyurethane. 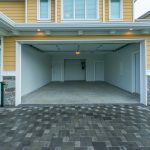 While it won’t be quite the same temperature as the rest of your home, it makes using your garage much more pleasant during the summer and winter months. 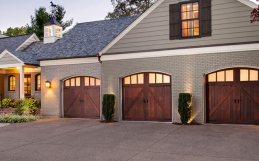 Insulated garage doors have several benefits that make them a great choice. During the summer, our garages can really heat up, and in the winter, they can be freezing cold. 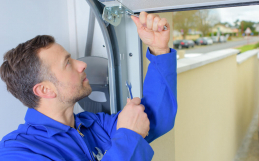 In fact, garages with non-insulated doors can be up to 10 degrees warmer or cooler than it is outside. This makes it difficult to use your garage for hobbies like woodworking, gardening or tinkering with your car. If you keep your car in your garage over the winter, this difference in temperatures could affect whether or not you can start your car in the morning. In addition to making your garage more comfortable throughout the year, insulated garage doors can also help to lower your energy costs. This is especially true if your garage is located underneath a living space, like a bedroom or an office. The hot or cold air from your garage rises through to the living spaces above, causing your home comfort systems to have to work harder to keep the spaces comfortable. When the temperature in your garage is regulated, it affects the rest of your home much less. If your garage is attached to your home, you know they can be quite noisy when opened or closed. This is especially true if your garage door is on a mechanized opener system. However, insulation on your garage door not only affects the temperature in your garage, it can also insulate the sound. Insulated garage doors tend not to rattle as much as non-insulated varieties, so you won’t have to worry about waking up the whole house when you leave for work early in the morning. Because insulated garage doors have three layers as opposed to one, whether it’s polyurethane or polypropylene, this makes them stronger and gives them more integrity than non-insulated doors. If you have kids, this is great because it will be better protected from denting which can be caused by something as harmless as a basketball. 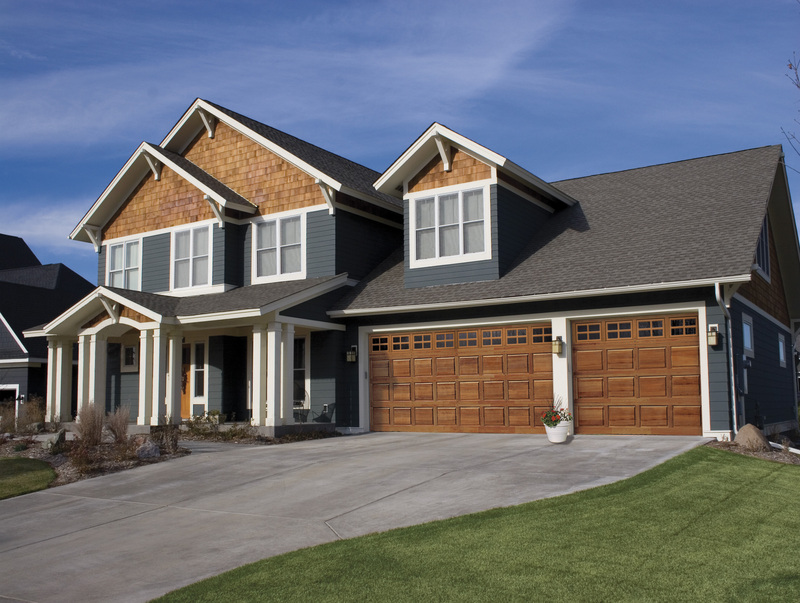 Your garage door can take a lot of abuse, having insulation could help to protect it. 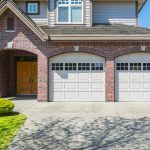 We have over 30 years of experience installing garage doors, and over that time we’ve learned that no two houses – or two homeowners – are the same. We know how important it is to have options to fit the style of your home, and that’s one of the reasons to choose insulated garage doors. 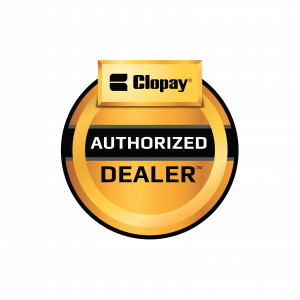 We get our insulated doors from Clopay, and they’re available in steel, wood and aluminum. In addition to having several styles available to you, we also carry 10 standard and four upgraded colour options to choose from. At Haws Overhead Doors in Guelph, we carry a wide range of garage doors to fit the needs of your home and your family. Learn more about residential overhead doors from Haws!